Located in the mountains, this Funasdalen apartment building offers ski-in/ski-out access and is within a 15-minute walk of Lake Funasdalssjon, FunasGondolen and Funasfjallen Ski Resort. Funasdalsberget Ski Resort and Fjallmuseet are also within 1 mile (2 km). 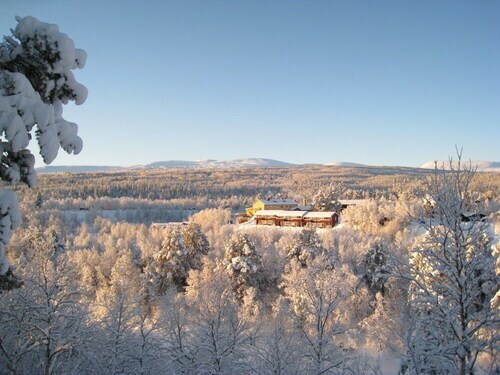 Located near the slopes, this Funasdalen hotel is situated next to a golf course, within a 10-minute walk of Lake Funasdalssjon and Funasfjallen Ski Resort, and is convenient for winter sports, such as cross-country skiing. FunasGondolen and Funasdalsberget Ski Resort are also within 2 miles (3 km). 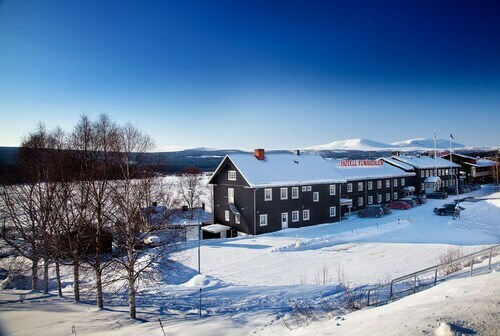 Located in the mountains, this slopeside Funasdalen hotel offers ski-in/ski-out access within 2 mi (3 km) of Fjallmuseet, FunasGondolen and Funasdalsberget Ski Resort. Situated in Funasdalen, this romantic property is 0.1 mi (0.2 km) from Lake Funasdalssjon and within 3 miles (5 km) of Funasfjallen Ski Resort and Fjallmuseet. Funasdalen Golf Course and FunasGondolen are also within 6 miles (10 km). 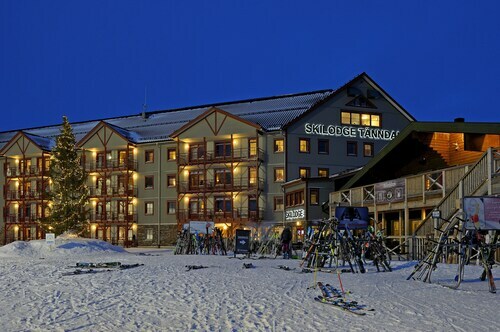 Situated in Bruksvallarna, this golf hotel is 5 mi (8.1 km) from Ramundberget Ski Area and within 12 miles (20 km) of FunasGondolen and Funasdalsberget Ski Resort. Fjallmuseet and Funasfjallen Ski Resort are also within 12 miles (20 km). 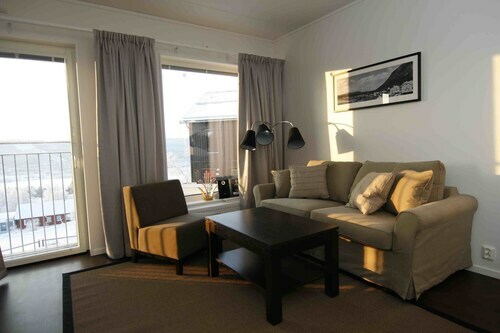 Situated in Bruksvallarna, this apartment building is 5.3 mi (8.6 km) from Ramundberget Ski Area and within 12 miles (20 km) of FunasGondolen and Funasdalsberget Ski Resort. Fjallmuseet and Funasfjallen Ski Resort are also within 12 miles (20 km). 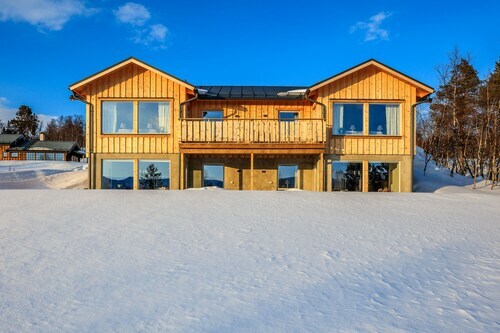 Situated in the mountains, this chalet is 5.1 mi (8.3 km) from Ramundberget Ski Area and within 12 miles (20 km) of FunasGondolen and Funasdalsberget Ski Resort. Fjallmuseet and Funasfjallen Ski Resort are also within 12 miles (20 km). 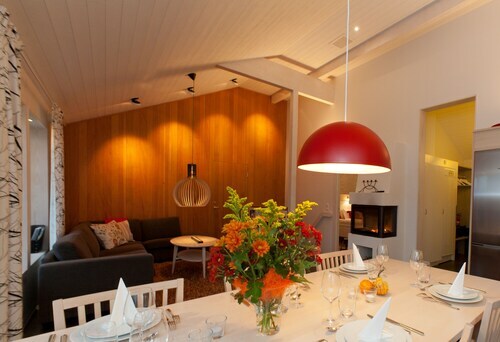 Set amidst the mountains, this ski-in/ski-out aparthotel in Tanndalen is 0.1 mi (0.1 km) from Tanndalen Ski Reosrt and within 12 mi (20 km) of Funasfjallen Ski Resort and Lake Funasdalssjon. Fjallmuseet is 11.5 mi (18.4 km) away.